Today, I’m going to do something a little different, and I’m going to share a story that I got from one of my listeners. This story really struck me in a profound way because it was an incredible testament to how wrong our brains can be. It also struck me how much mental clarity you get when you start making choices that are aligned with your authentic self. Join me today as I talk about authenticity and drinking. 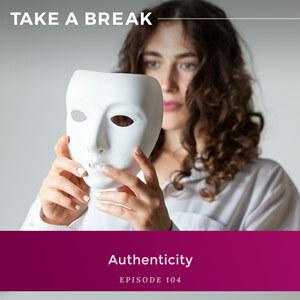 Learn why so many of us are so afraid to be who we really are and the rewards you will reap by being your authentic self – doing this work, wrestling with this part of your brain – if you are brave enough and courageous enough to do it. Why our brains can be dead wrong about things we believe with all of our being. How not constantly worrying about negative outcomes frees up time and mental space to do what you really want to do. What being authentic really means. Why so many of us are terrified of who we are without alcohol. How drinking teaches us to pretend how we feel. 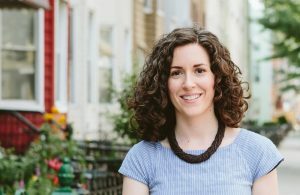 You are listening to the Take A Break podcast with Rachel Hart, episode 104. Well hello everybody. So today I’m going to do something a little different, and I’m going to share a story that I got from one of my listeners. Now, a lot of you guys email me, you email in questions, you email in topics you’d love to hear me talk about, but a lot of you also share the amazing, amazing progress and changes that you have created for yourself in your life and I love hearing about all of it. So here’s what one of my listeners wrote. “There are so many times when taking a break from drinking reminds me of coming out as gay. I know deep down giving up alcohol is what I am meant to do, but taking action holds so much uncertainty for my future self. Before I came out, I was so scared of becoming everything I thought a gay person was. All the negative labels associated with being gay would be stuck to me for all the world to see. I can vividly remember talking with my friend while I was just coming to terms with who I was and I said to him, ‘I just wish I wasn’t attracted to guys.’ And he responded, ‘Oh, I don’t wish that. Being gay is amazing.’ And hearing him say that sent my brain into chaos because I couldn’t imagine anyone actually wanting to be gay. I thought he was lying. Of course, everyone wants to be straight, everyone wants to be normal. It’s just like when you say life without alcohol is amazing. But this time, I can actually begin to believe you. My friend told me how happy he was being true to himself and living an authentic life. I could understand what he meant, but I did not fully understand what that felt like until I came out to my family. I really thought my life would be over if I ever came out. I have to tell you, I got this email and it really took my breath away. It was such an amazing, amazing thing to read but also, I so related to it. I so related to that idea that my life was going to be over and I mean over if ever I decided not to drink. Because I was so sure that everyone would think I had a problem. I wouldn’t be fun, I wouldn’t get invitations to hang out with people anymore, I would always be the buzzkill, dating would be impossible, finding a partner would be impossible. I would be forever alone and forever the girl with a problem. The odd man out. Or at least that’s what I believed. When I read this listener’s email, I’ll tell you two things stood out to me. First, just how dead wrong the brain can be, and I am talking really, really wrong. So I have talked before with you guys about how the brain loves to look into the future, it thinks it has this crystal ball and it can see what’s going to happen and what does it see nine times out of 10? The worst possible outcomes. And it’s such a revelation to find out that something that you truly believed with every single fiber of your being is just completely untrue. I was so sure that my life without alcohol would be less fun, less spontaneous, less connected, less joyful, less of everything that made it good. And all of that turned out to be totally untrue. My life is way more of all of those things, more fun, more spontaneous, more connected, more joyful, more amazing all around. And the second thing that stood out to me when I read this email was all the energy that is freed up, all the mental clarity that you get when you start making choices that are aligned with what your authentic self wants. Now, I know not all of you are there. I know not all of you listening are at a place yet where you are saying, you know what, I do want to make the decision to say no to this drink, and maybe it’s just tonight, maybe it’s for an extended break, maybe you’ve even decided it’s just not serving you in life. You might not be at that place yet. But I know there are a lot of you who are at this place, who know what is the right decision, what feels aligned with what you truly want, but making that decision is so terrifying. But here’s the thing; when you’re not constantly at war with your desires, when you’re not constantly worried about all the negative outcomes that you are creating for yourself and dealing with those negative outcomes, cleaning up from the next day, you free up so much energy, so much time and space to devote to what you really want to do, what you’re really here to do. You’re not really here, I don’t think, any of us are here just to drink. We’re here to do something, so what is it? Thinking about drinking and thinking about the habit and worrying about drinking and feeling shame and guilt and cleaning up the next day, it takes up so much time and energy and headspace. And when you free that up, you really can start thinking about who you want to be and what you want to go after and the kind of life that you want to create. It really truly is like he described, having a weight lifted off you that you probably didn’t fully realize it was there, and maybe if you knew it was there, you really aren’t going to know just how heavy it was until it comes off. And I’ll tell you, both of these things, both of what stood out to me when I read this email, they really are directly connected with authenticity. And that’s what I want to talk to you about today. Drinking and authenticity. Because here’s the thing; you may have never wrestled with your sexuality or who you are attracted to, but I guarantee that you at some point have wrestled with showing up as your true authentic self. Some part of you, maybe it’s a dream or a desire, something inside of you that you told yourself you had to keep hidden away in order to be accepted. Because to be authentic is to be genuine. It’s just to be true to who you really are at your core, your unvarnished self. To be authentic is to simply be yourself through and through and not just when you’re in the privacy of your home, but to be yourself in all the different ways that you show up in this world. And it sounds so simple, right? Just be yourself. It sounds so simple, so easy, so breezy. But I know for a lot of you listening, whether it has to do with drinking or not, it’s scary. And I’ll tell you, it was terrifying for me. And the reason was because my brain was so sure that if I was authentically who I wanted to be, I would risk everything. If I showed up as my true self, if I made choices that I really deep down wanted to make, I knew from pretty early on that drinking was not serving me, I was not showing up as my best self when I was drunk. I was not making the best decisions when I was drunk. I was not making the greatest decisions about how to behave and who to be with and what to say and what not to say when I was drinking. So I knew that but I was so afraid of the judgment. I was going to be rejected, I was going to lose my friends, everybody would think I had a problem. I really thought I would be losing everything. And if you can relate to this, which I’m sure a lot of you can, that is what stands in the way between just being yourself. Showing up as who you really are means showing up and risking not only people and their judgments, but also coming face to face with your judgments of yourself. And that can be really challenging. I’m going to tell you this. I have done so much work at so many different points in my life with trying to be the authentic version of myself, and I’ll tell you, I don’t think that that battle is totally over. I think that it is still evolving. One of the very first areas for me was creativity. You’ve heard me talk about this before. I loved painting growing up. When everybody else in school, in elementary school was at the end of the day going to soccer practice or Little League, I was walking down the street to my art teacher’s house and taking lessons with her. And I stopped painting little bit before I started middle school and when I was in my 20s, I had this really strong pull to be creative again and to pick up a brush again. And I remember first, just starting to paint things, even going to the art store and getting supplies. There was a big hurdle there, but then I would paint these things and I was so afraid of hanging them on my wall and I finally got the courage to display my artwork and then I didn’t want to invite anyone over to my apartment. I was like, oh god, people will see. It was hard enough for me even to look at my own work, but now I’m going to invite people over, which is so funny now because of course I’m now at the point where my artwork hangs in our home. It’s not a big deal. People see it. I have not melted. I’ve not run screaming into a corner hiding. But art was a big place for me. Leaving relationships, being in relationships, that was a really big place where I struggled to do what I knew deep down my authentic self wanted. And I’m sure a lot of you have been in this position. Staying in a relationship when you know it’s just not right, there’s just that little voice inside of you saying I don’t think this is the relationships for you. You know, there was one relationship in particular that I can think of where everything about it on paper looked amazing. He was smart, he was handsome, he was funny, he was wealthy, he had a great job, but deep down I knew that the relationship wasn’t the one I wanted. I knew that it wasn’t right. But everything on paper looked so good and I kept struggling with that. Well, if it looks so good on paper, what am I supposed to do with this voice and if I listen to this voice, well, I might be alone forever. I knew that my deepest, truest self was telling me the right thing, that I was not meant to be with this person, but yet I stayed and I stayed and I stayed so much longer than I should have because I was terrified of what that would mean if I left. Changing careers, another place where it was very challenging for me to do what my authentic self wanted. I have an old journal where I actually wrote about becoming a life coach in my 20s. And it was almost a decade before I got the training, and I stayed in hiding because I was so sure that being a coach was not something that a serious intellectual person with a degree from a good college did. That’s just not what you were supposed to do. I was supposed to have an impressive job and not be a life coach. That, for the longest time, I just couldn’t really wrap my brain around how I could have a job like that. Because to me it just seemed like not something that impressive people did. And you know what, many times when I talk to you guys about little stories and tidbits from my life, from my past, from my present, when I was writing a book, when I record these stories for you, I notice a little hesitation. I have that little part of me is like, what will people think? What will people think if I share this story, if I show up as my truly weird self and tell people all the weird interests that I have? So all of these areas I really wrestled with authenticity and showing up how I wanted to, as my real, realest version of myself. And of course, drinking was also an area for me where this was a struggle for a very long time. But I got to a point where I decided that I just kept getting evidence over and over and over again that it wasn’t really serving me, and that frankly, I kind of needed to take a break just so I could learn how to solve the problems that drinking was helping me solve. And that is what I committed to doing. I didn’t say I’m never going to drink again. In fact, I’ve never made that promise to myself or to another person. I just said, I’m going to take a break so that I can spend time learning how to do the thing right now that I don’t know how to do without a glass in my hand. How can I feel confident? How can I deal with my anxiety? How can I take the edge off of anger or aggravation or annoyance or frustration or loneliness? How can I cope with those emotions on my own instead of drowning them with a drink? And that’s what I committed to and of course, as I learned how to do these things for myself, the allure of drinking and the desire to drink slowly started to fade. But I will tell you, I was so afraid of what it would mean to be a person who didn’t drink and to have to tell that to other people. Drinking is such a big thing when it comes to living an authentic life because by its very nature, it is a substance that has you pretending. So first just think about social situations. Drinking teaches us to pretend how we feel. You’re feeling insecure, just pour a drink and pretend for a while that you’re confident. You’re scared to open up, just pour a drink and pretend that you can fearlessly share and talk about yourself. If you’re intimidated by someone, just go have a drink and you can walk over and say hi. So many of us are so used to relying on liquid courage that we forget how to tap into the real courage that we can generate on our own. Not via pretending, not via a substance that helps intoxicate our brain. Now if you were really doing what your true self wanted, you would just allow yourself to feel whatever you were feeling. But when we use a drink to try to cover up and numb our emotions, we are sending ourselves in the opposite direction because it puts a mask on your truth. So we choose not to be authentic because we’re so afraid of other people’s judgments or afraid that we won’t be able to cope with how we’re feeling, or afraid that how we are right now isn’t enough. But all of these decisions just teach the brain to tiptoe around who you really are and frankly, to find out who you really are. So we know why the brain wants us to avoid being authentic because it’s looking into that crystal ball, looking into the future, and it sees only the worst possible scenario. It’s scared of the outcomes of rejection, vulnerability. So then the question is well, what’s the upside of being yourself and making choices that are in line with who you really are and who you want to be? What’s the upside of being authentic? And I’ll tell you, when you are not constantly trying to be someone that you’re not, when you’re no longer pretending that you feel differently than you do, you actually get to meet yourself. You free up all this space to go after what you truly want in life instead of holding up a façade all the time. You no longer feel like you’re carrying on in this false way or carrying a secret that you’re going to be found out. It really truly is like a weight gets lifted off your shoulders, that frees up your time and energy, but also frees you up to exist in this world as you are meant to be. So the question then is how do you live authentically? It means you have to move towards everything that makes you want to curl up in a ball and hide. You have to move towards discomfort. Surprise, surprise, this is what I talk to you guys about all the time. Discomfort really is the key. It is how you unlock and how you unleash all of your power. You have to reject this story that your brain has told you about how everything will be ruined, how everyone will reject you, and you have to practice showing up anyway. Because that’s the only way to create evidence to disprove your brain’s story. That’s the only way to create evidence that in fact you won’t lose everything. When you are authentic, you step off the cliff trusting that the only thing worse than losing everything is living a life that is not who you are, living a life of pretend. And so that’s what I want you guys to really think about this week. How is drinking getting in the way of your authenticity? Right now, maybe it’s just getting in the way of acknowledging how you actually feel because you’re always putting up that façade, you’re always using a drink to pretend that you feel differently. But you can also ask yourself on a deeper level, how are the choices you’re making around drinking getting in the way of who you really are? Because I know that there are some of you out there listening who want to be saying no, who want to be turning down a drink, who’d rather not share that bottle of wine, who would rather not go out and have drinks. You prefer not to, but you’re making the decision to say yes anyway because you’re so afraid of what it will mean. Being your authentic self, doing this work, wrestling with this part of your brain, not just in this area but in all areas of your life, it will reap so many rewards if you are brave enough and courageous enough to do it. And if I am, you are too. All of these areas, my creativity, my relationships, my career, myself, and my drinking, I had to wrestle with authenticity and I am still wrestling with it in more areas. How can I fully just show up as my unvarnished else? You can do this too. Alright everybody, thank you so much for tuning in this week and thank you so much for the stories that you share with me. I really do believe that they make a difference for so many people, so many other people out there listening. Alright everybody, have a wonderful week. Loved this…I feel the same way like I have to “come out” to my drinking friends. Especially my ski racing team!! Ugh! I know it will be freedom but so hard. If I just practice at one event, it will get easier because it is only in MY mind that it is this big enormous problem.